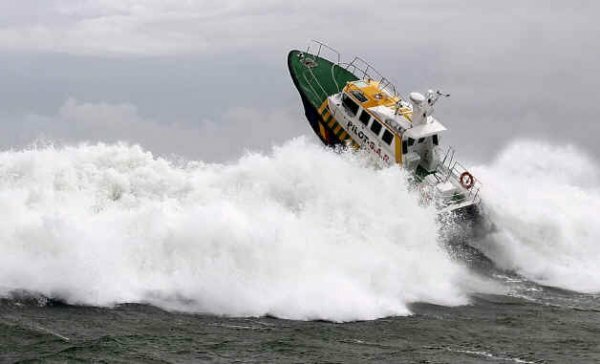 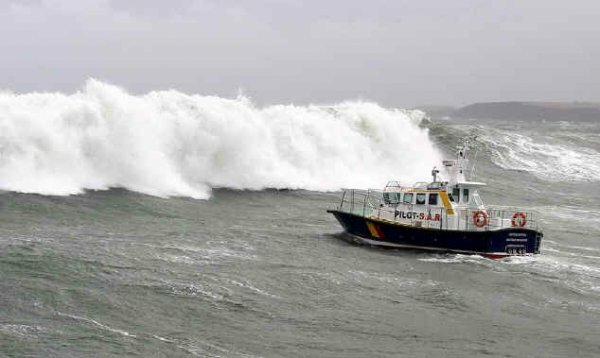 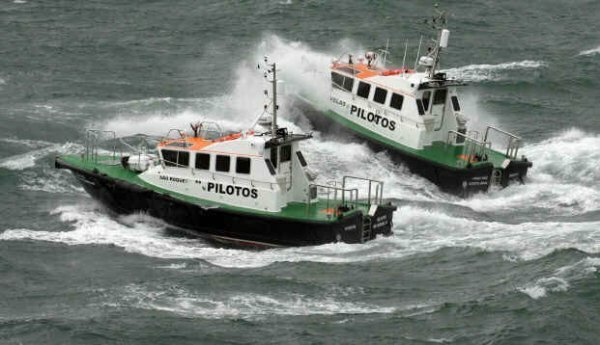 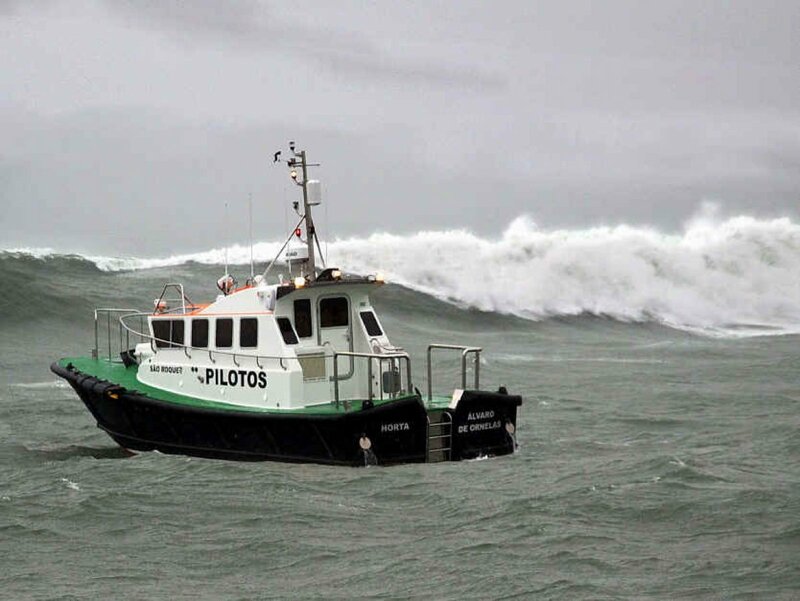 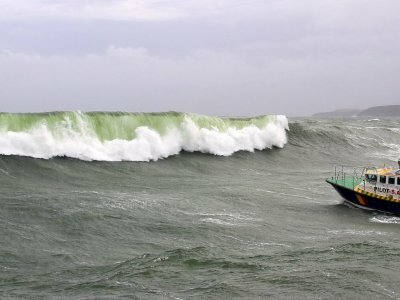 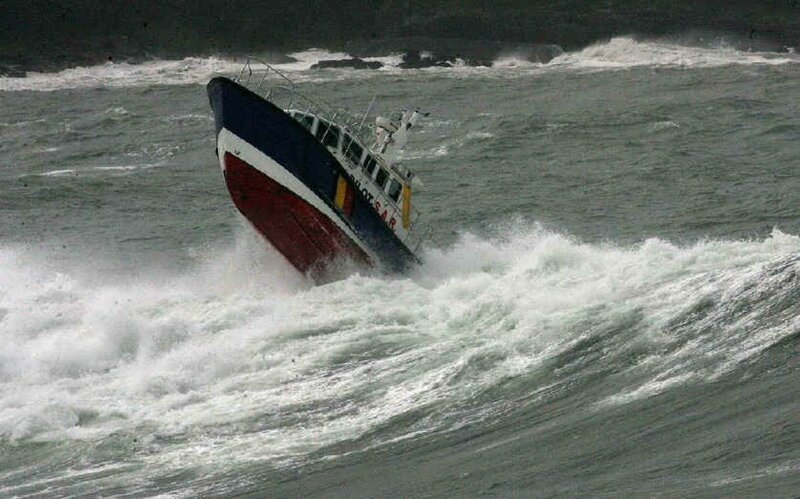 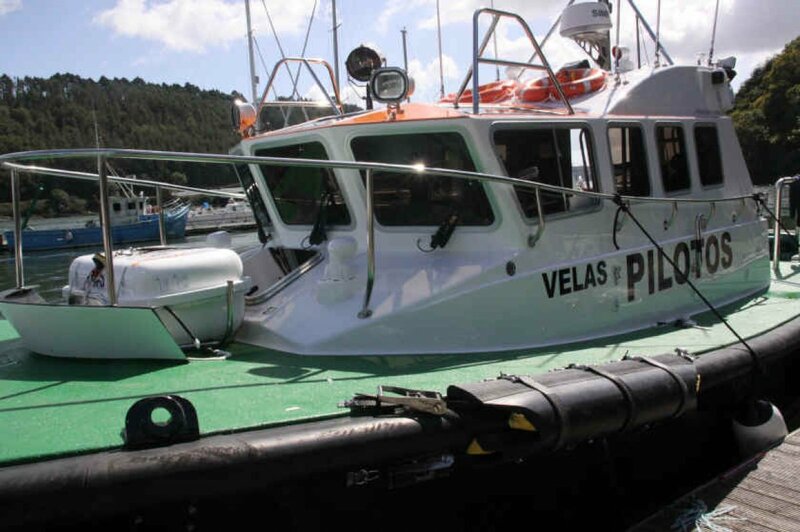 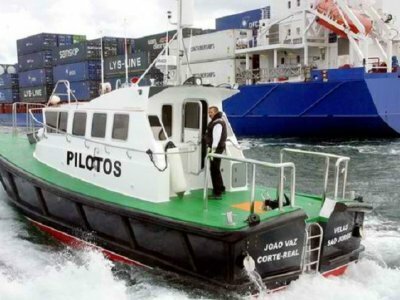 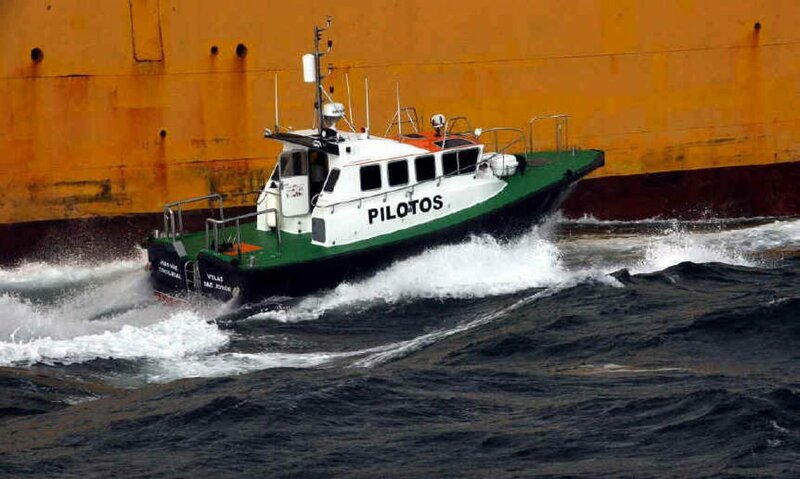 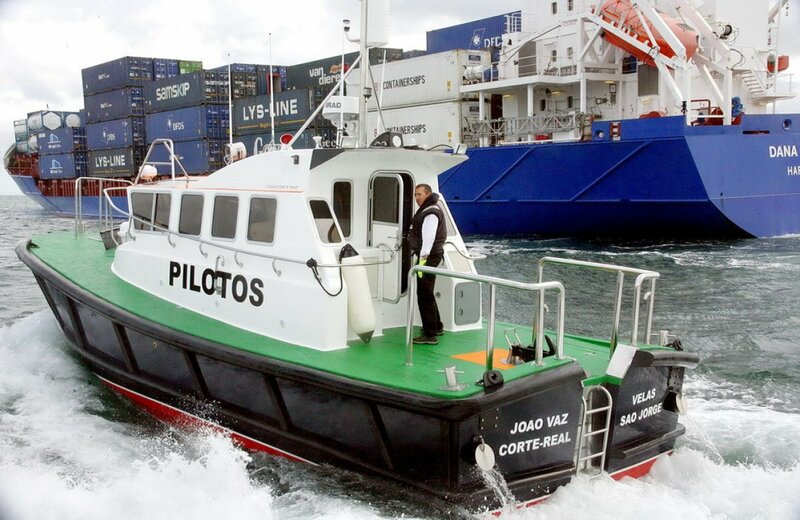 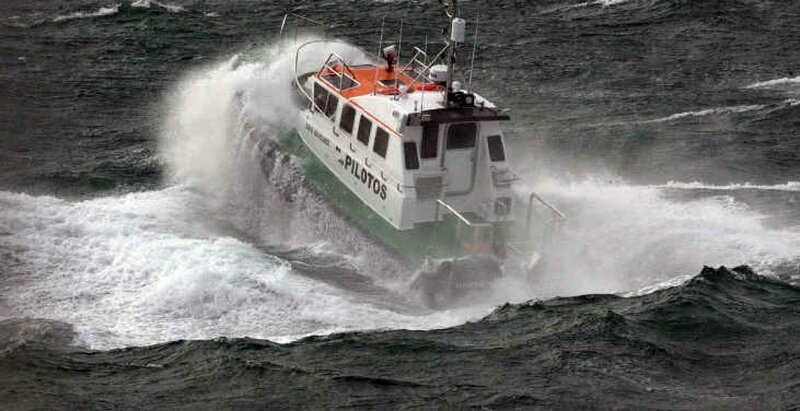 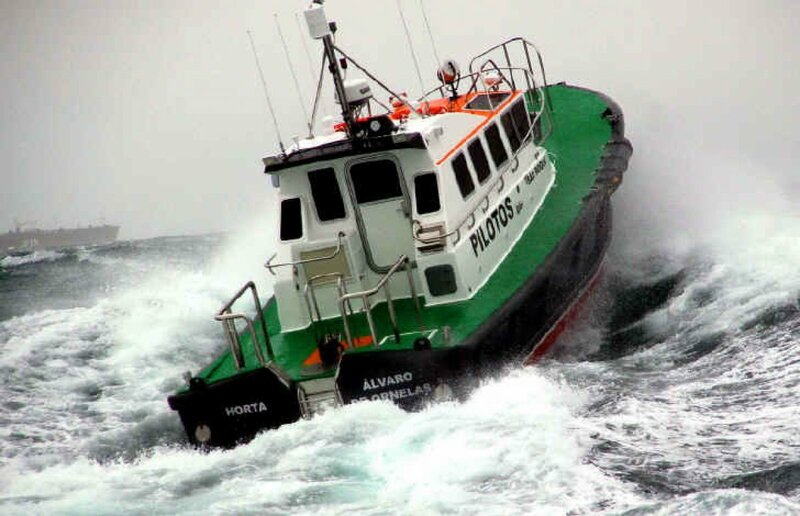 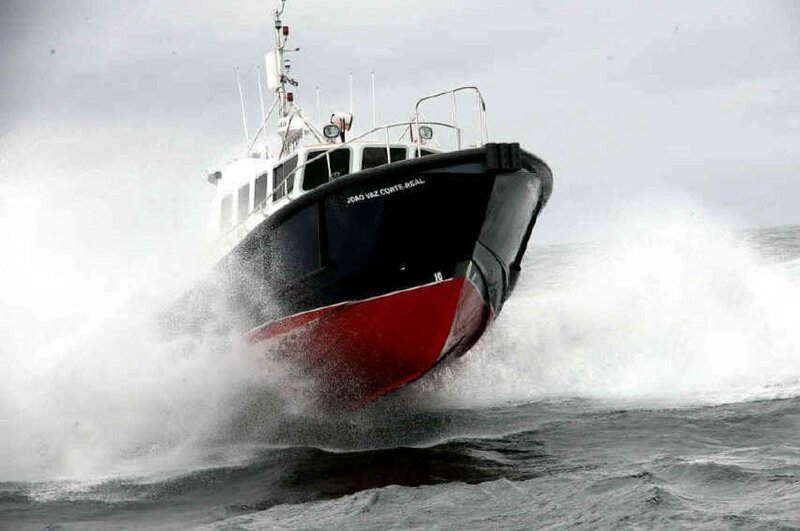 The vessel is Powered by twin Volvo D9 425 hp engines on ZF 'V' Drive gearboxes, these provide a a maximum speed of 25kts and operational speeds over 22kts. 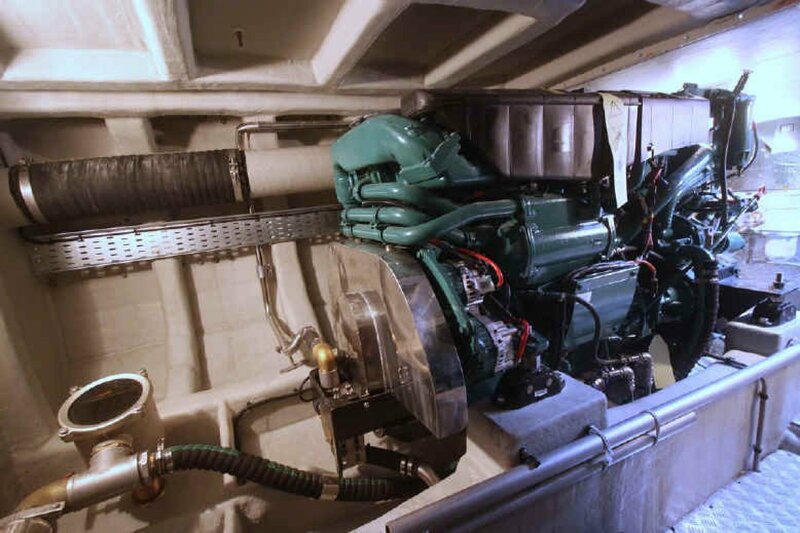 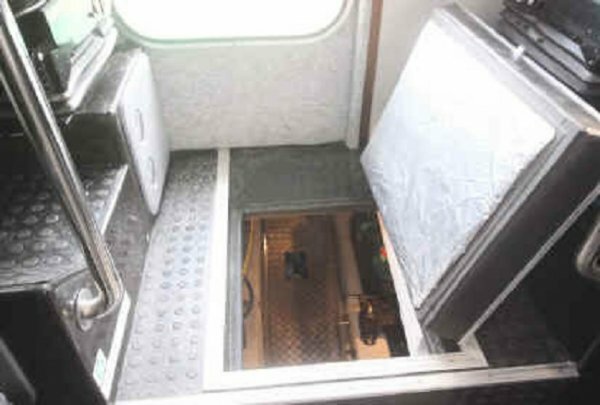 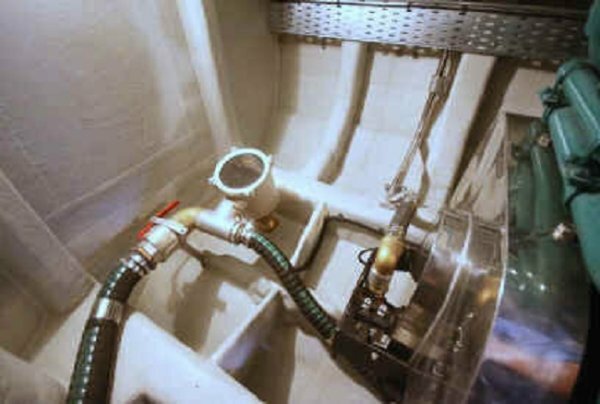 Engine room access is via a deck hatch in the cabin sole for daily inspections and two large bolted deck hatches in the aft cockpit, facilitating engine removal and service. 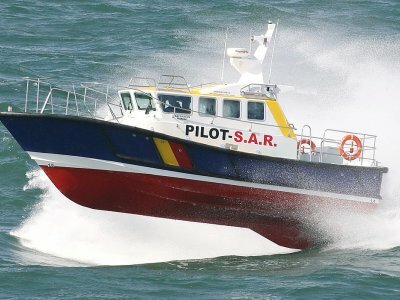 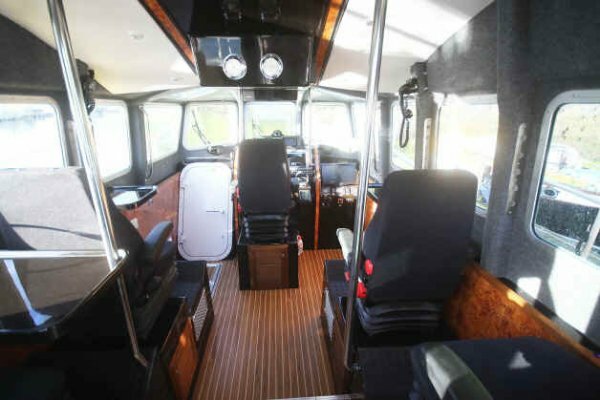 The engine room is surprisingly spacious and allows easy access to all service components and is filly insulated for noise, allowing low noise levels of 79db in the main accommodation at operational speeds over 20kts. 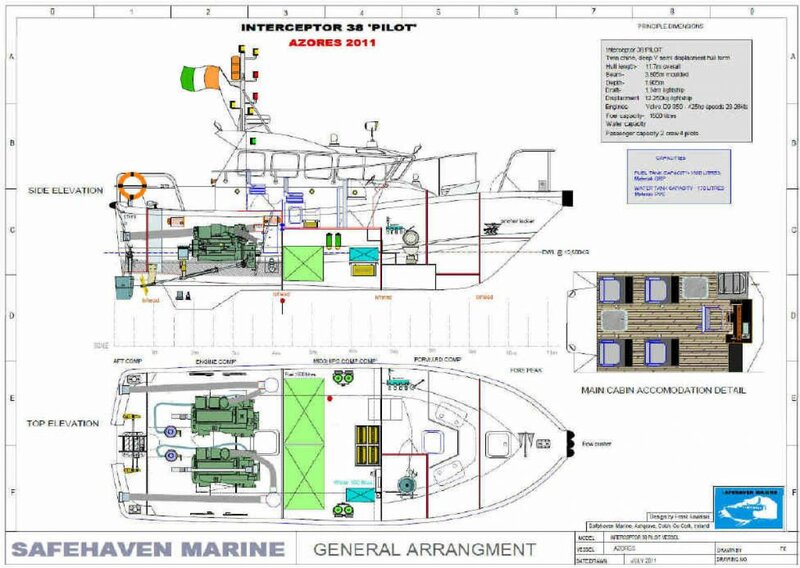 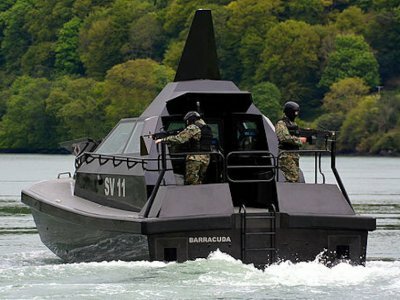 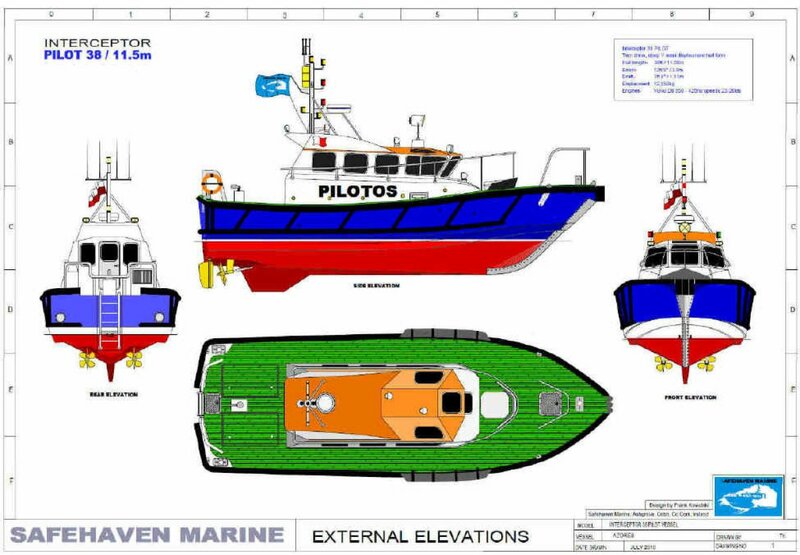 Other features include 1500 litres GRP fuel tanks situated in a midships tank compartment, it is positioned very low in the hull lowering the CG and maximising stability. 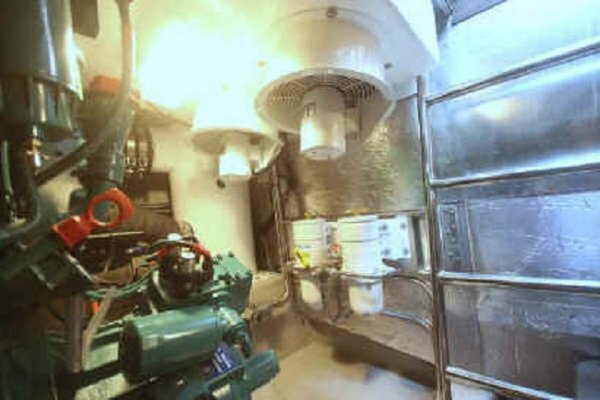 The vessel is engineered for hot climate operation with twin 300mm axial engine room fans drawing air through large, mist eliminator type ventilation ducts. 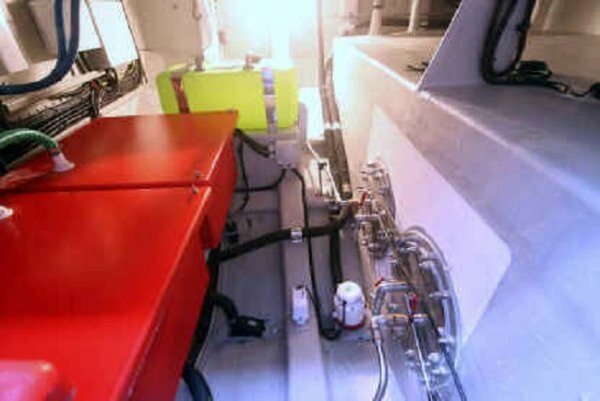 Stainless steel lifting points built are integrated into the structure at the bow and transom, allowing the vessel to be easily lifted from the water.